This is the Sleeping Goat Decaf brought to you by Klatch Coffee. 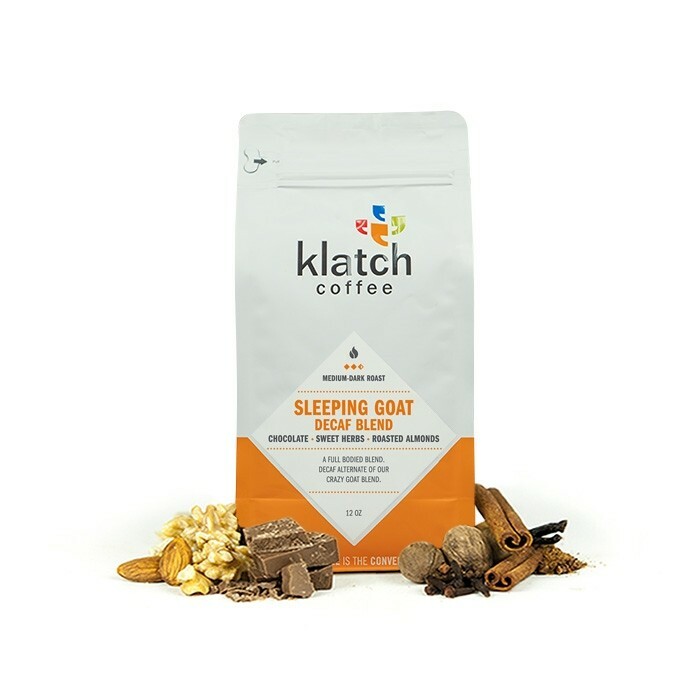 A combination of coffees from Brazil, Colombia, and Sumatra, this blend is named for the story of the discovery of coffee by an Ethiopian goat herder named Kaldi. This bold decaf is deeply roasted for a full bodied cup with notes of chocolate, roasted almonds and a subtle herbal note. This one tastes quote burnt. This was a very enjoyable blend! Very good - perfect body, nice flavor. I drank this after my current favorite, and it held up well. Too dark, I prefer medium or even a light roast for my decaf.